Suzuki dashed hopes that it would revive its Katana name on a radical turbocharged twin when it revealed the new bike in full at Intermot. 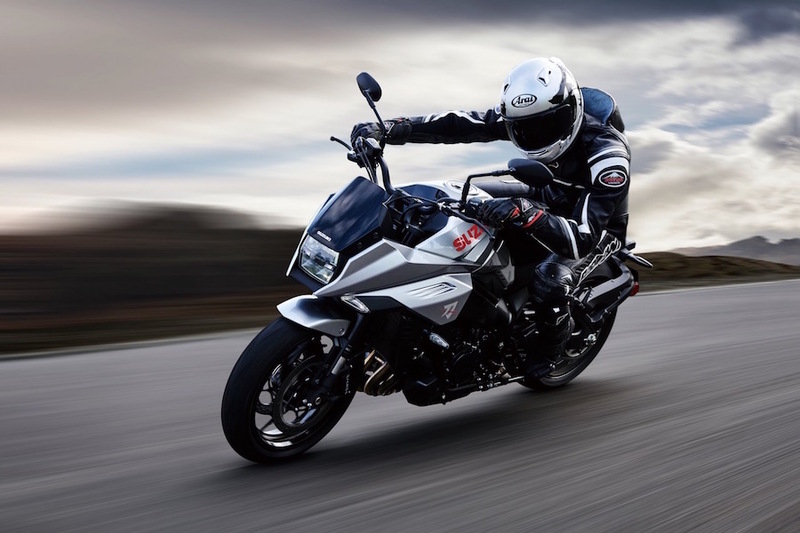 Despite promises of a ‘brand new bike’ the reality is that the new Katana – which is officially a 2020 model – is actually a rebodied version of the existing GSX-S1000 naked sports bike. Not that the GSX-S1000 is a bad starting point; it’s got a 110kW, updated version of the legendary 2005 GSX-R1000 K5 engine mounted in a capable aluminium beam frame, fully-adjustable KYB upside-down forks, Brembo radial calipers and three-mode traction control. And of course, the new Katana inherits all those things. It also inherits the same wheels and exhaust as the GSX-S1000, but the similarities end when we get to the bodywork. Based on the Katana 3.0 concept bike shown last November, the 2020 Katana is an unusual move for Suzuki. Last year’s concept wasn’t an in-house project, but an external one done by Italian firm Engines Engineering and designer Rodolfo Frascoli, with backing from Italian bike magazine Motociclismo. But Suzuki was taken with the idea and saw that its existing GSX-S1000 could easily be transformed into something so much more attractive by wrapping it in new bodywork. It’s actually a mirror of the process that led to the creation of the original Katana at the end of the 1970s and start of the 1980s. Back then, Suzuki’s ungainly-looking GSX1100E was a fast but ugly offering that wasn’t gaining much traction in the market. Inspired by an MV Agusta-based concept bike styled by Target Design at the behest of German bike magazine Motorrad, Suzuki employed Target – founded by ex-BMW stylists including Hans Muth, Jan Fellstrom and Hans-Georg Kasten – to create a brace of prototypes to show in 1980. The sharp-looking ED-1 and ED-2 concepts that resulted were swiftly turned into the GS650G and GSX1100S Katana production bikes the following year. However, while that original Katana captured its era’s fascination with the future, the new one taps into a 1980s-inspired, neo-retro zeitgeist. 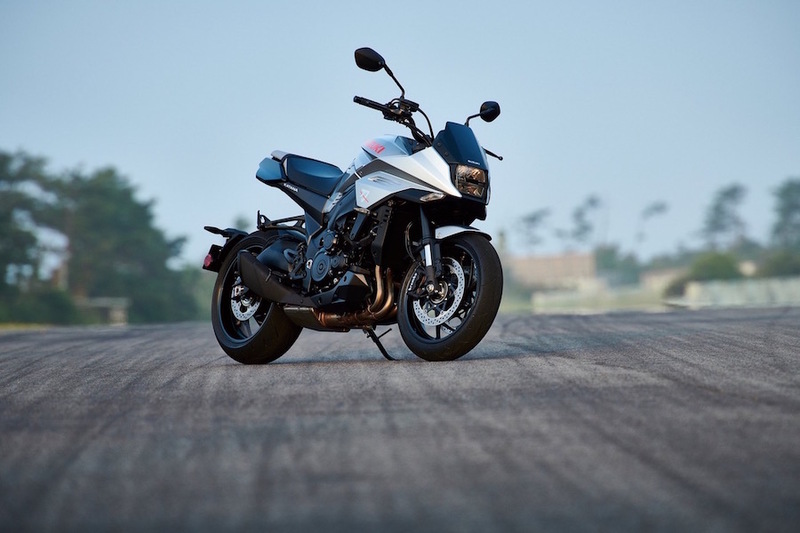 There’s no doubt the result is far more attractive than the GSX-S1000 it’s derived from, but its shapes are familiar call-backs to a past era rather than radical thrust into the future. As well as the new bodywork, the Katana gains LED lights front and rear and a new LCD display, although it’s not the sort of full-colour pack that so many of Suzuki’s rivals are turning to. Will reskinning the GSX-S be enough to reverse Suzuki’s fortunes, which have flagged in recent years? We’ll have to wait and see – the new machine should be on sale sometime in the middle of next year. The bike’s success will be judged in its sales, but it’s certainly a cost-effective way to create a head-turning new model.